I don't remember this fire as it was before I was born but I do remember the fire in Kilbirnie Street which claimed the lives of 7 firemen. One of which was my sisters friends husband. They had both married firemen and both had young children. Although I was only 7 at the time I remember it having a lasting effect as I grew up. Her friend and her husband had a fire brigade flat at govan fire station and from what I can remember 4 or 5 of them lived in that building. I have always had the greatest respect and admiration not only for the firemen but also their families who know every time they go to work the are risking their lives. I was coming back from the Plaza in Govan and came back down Water Row to go hame along the bank of the Clyde behind Harland's. I dont need to close my eyes to see the flames. It is always in my memory. It was a tragedy that hurt all of Glasgow. I have been away for many years now, but was any memorial erected to these Glasgow heroes??? 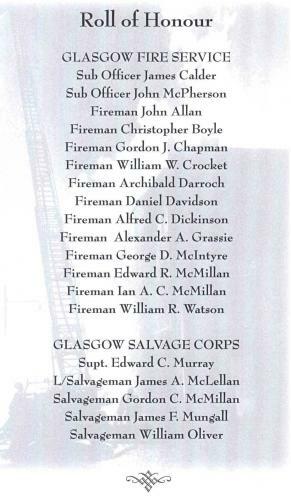 Seven firefighters who perished in a warehouse blaze in Glasgow have been remembered in a wreath-laying service in Glasgow. 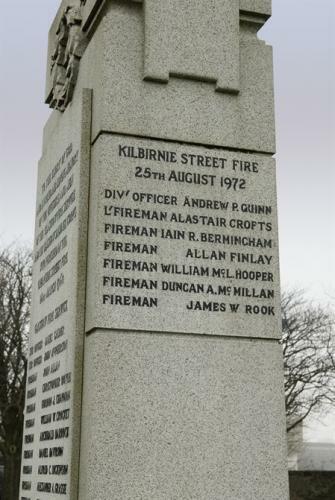 The ceremony - on the 42nd anniversary of the Kilbirnie Street fire - was held at a memorial for the fireman in the city's Necropolis. The fire took place at the Sher Brothers' cash and carry warehouse. 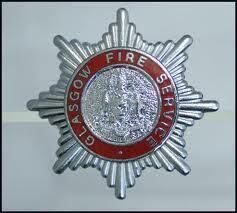 The Glasgow Fire Service members were killed as they attempted to rescue a trapped colleague. During the operation they were engulfed by a flashover - a burst of flame and intense heat up to 1,000 degrees. The wreath-laying ceremony in their memory was held at the Necropolis memorial at 11:00. 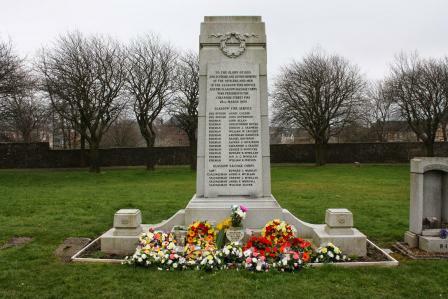 In addition to family and friends of the fallen firefighters, the service was attended by representatives from the Scottish Fire and Rescue Service, Glasgow City Council, the Scottish Fire and Rescue Heritage Trust, Family Support Trust and Retired Employees Association. Remember it, I also believe that three/four young boys died in the canal at Clydebank that day on a makeshift raft of some kind. My Uncle attended the fire and a friend lost his Dad. I have been to the Grave in the Necropolis .! 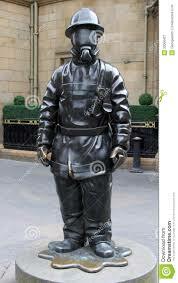 Hi Guvin Wullie, I lived in Govan for a few years, early 50s in the Fire Station there. Yes there is a memorial, and they are remembered. 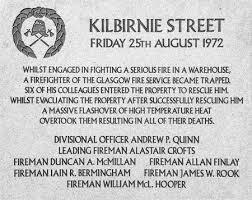 also the Kilbirnie fire, and a statue in the city centre for all firemen. The link below is to the Scottish Fire Heritage Group, well worth a visit.